Hiking footwear needs to protect feet from damage and to provide a solid grip. 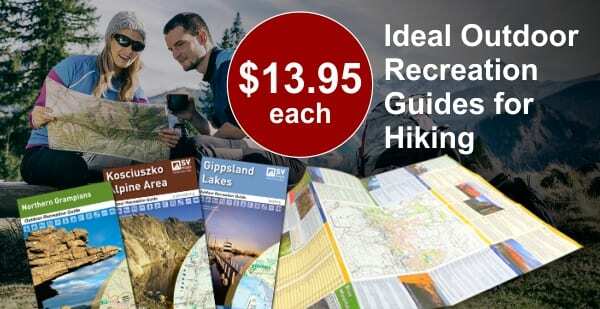 Other considerations, depending on the individual or the trip, may include keeping your feet dry and ankle support. Durability, cost and weight will also come into the equation. There is quite an art to Choosing and Caring for Hiking Boots. The good news is that there are so many good products on the market now that there is bound to be something just right for you – all you have to do is find it. When I started hiking a number of years ago I quickly realised that there was a vast range of hiking booths available in a vast range of price brackets. Being new to hiking I didn’t want to spend a lot of money on my initial purchase so opted for a cheap sub $100 pair. My early experiences with boots in this price range proved to be quite promising. 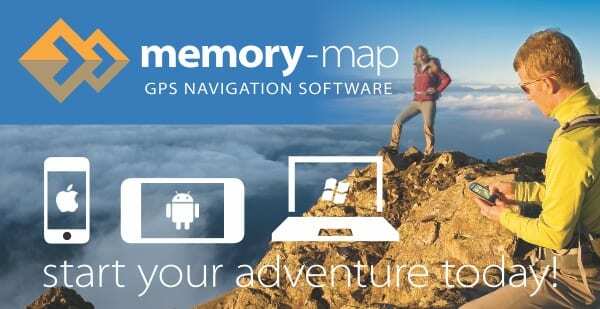 That was until I started hiking more often and on rougher terrain. Its wasn’t long before I realised that these boots did not offer me enough ankle protection, arch support, heel cushioning or durability and they rarely kept me dry when I accidentally plunged my feet into water on numerous river crossings. It was time for me to increase my budget. These days I wear hiking boots that are in the $400 price range. They offer me all of the things I need in a hiking boot and the durability has far outlasted my cheaper, earlier, purchases. 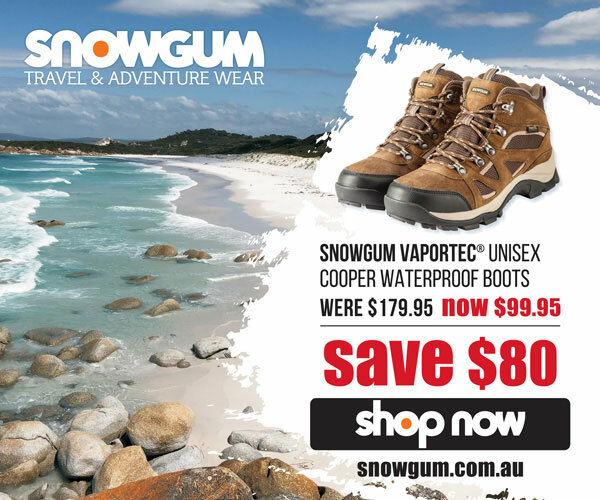 Recently Snowgum contacted me to share product information on their own branded Cooper MKII VaporTEC® Boot. These boots are priced at around $150 or $100 for club members (at the time of this review) so they fit right into the ‘first pair of hiking boots’ category. My immediate reaction was that I have been there, done that, with entry level boots but Ross challenged me to give them a go. With any new boot that I purchase I always ensure that I break them in over a number of short hikes so that they soften and mold to my feet. I know that a lot of people don’t bother with this process so with these boots I simply laced them up and took them on a 12km hike. When I first pulled them onto my feet I was amazed at how comfortable they felt, particularly around my ankles and under my arch. There is plenty of padding and cushioning in these boots and they seemed to hug my feet in all the right places. I was pleasantly surprised. However this wasn’t the real test. I needed to put them through their paces on the trail. At the end of the 12km hike I had started to really like these boots. For an entry level boot they handled the terrain with ease. The souls of the boots displayed plenty of grip on all surfaces, including the occasional slippery rock on some creek crossings. I felt that I had plenty of support through my ankles and the sturdy suede upper easily deflected the occasional rock and sticks which threatened to attack my feet. So after my first outing I was pleased with everything the Snowgum Cooper had to offer. As with all field tests one can not make an informed recommendation after one wear so I needed to take these boots on quite a few more hikes. Over the past three months I have worn the Snowgum Cooper boots on multiple day hikes as well as an overnighter so that I could test them with a full pack. In total approximately 105km so far with them on my feet. On every outing these boots did not let me down. They remained stable on uneven terrain, waterproof in mud, rain and creek crossings and most importantly I never once rolled my ankle or received a solitary blister. All of the boots I have owned claim some level of waterproofing but they never really keep the water out, particularly on these cheaper pairs. On one hike I decided to really test the waterproofing so walked into the centre of a creek and stood there for five minutes. I was expecting the water to start seeping in from all sides but after walking back to dry land and removing my boots I was very impressed that they were as dry as the moment I put them on. I will continue to test these boots for durability and will update this review over the coming months but so far they have lived up to everything that Ross said they were capable of. If you are new to hiking or don’t quite have the budget for a more expensive boot I strongly encourage you to give the SNOWGUM Cooper MKII VaporTEC® Boot a go. If you are a club member $99 is a steal. The VaporTEC lining offers waterproof protection, combined with an internal lining for extra moisture wicking and breathability these boots offer excellent performance for any adventure. The Leather and Cordura mesh uppers offer strength and durability meaning these boots are made to last. The high traction, shock absorbing outsole means they are light, stable and very supportive, with a cushioned innersole that is removable for orthotics they are a comfortable fit. These boots are ideal for those buying their first pair of walking boots, day walkers or occasional hikers. Outsole: Strong and supportive dual density rubber sole unit with plastic shank for added rigidity and support. If you are looking for a cheap but quality hiking boot I encourage you to check these out. 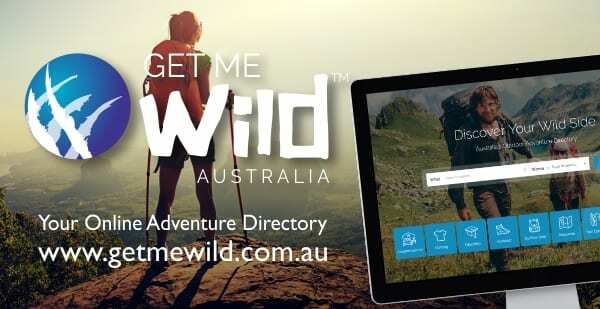 If you submit a hike at http://www.trailhiking.com.au I’ll send you a $50 Snowgum voucher so your boots will be even cheaper. I have a wide foot and found it very accommodating.